Have you considered just how much place shapes our lives? It influences our attitudes, values, skills, and behaviors. We have explored “sense of place” a bit together here at Playful Learning – what it is, why it’s important, how to nurture it. I love thinking of sense of place as not only one’s interactions with the environment but one’s personal dialogue with it. We each create unique life stories based, in part, on our experiences with our environment and our interpretation of those experiences. 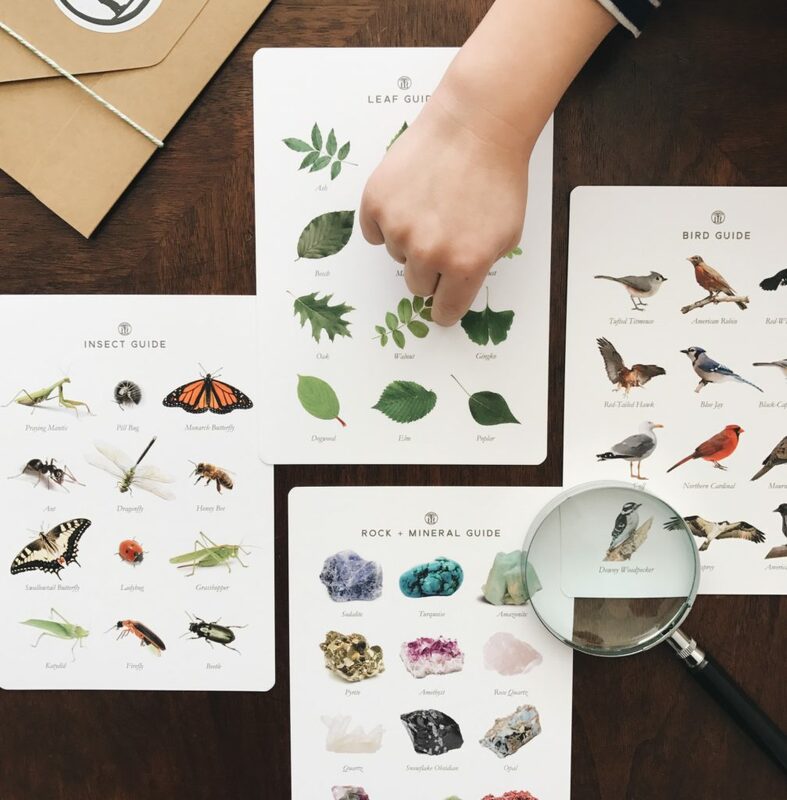 As I ponder what sense of place might look like for each of my children, I become more and more aware of the individual strands that may be getting woven together to form their unique stories. One of those strands for our family is the local farmers’ market. Most communities have farmers’ markets, large or small. Does yours? Do you visit, even if only occasionally? Children can learn a lot at farmers’ markets – color recognition, social skills, math concepts, etc. – but sense of place? Yes! 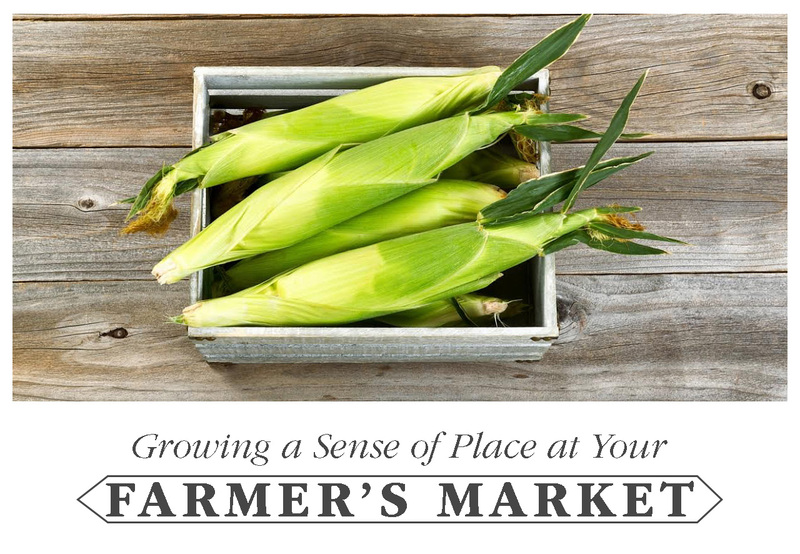 Farmers’ markets are not only a showcase of the results of our community members’ hard work but a display of what the land on which we live and depend can support. I grew up near the coast where fishing and boating were a way of life. My husband grew up inland and further north where children were let out of school to help with potato harvesting. My children are growing up in an area surrounded by family owned farms. They can see where their food is grown and raised and can even harvest some things themselves. So whether your community has a flourishing farmers’ market with an abundance of offerings or a small market that features mostly baked goods and herbal concoctions, you and your children can learn a lot about your place and what makes it unique. 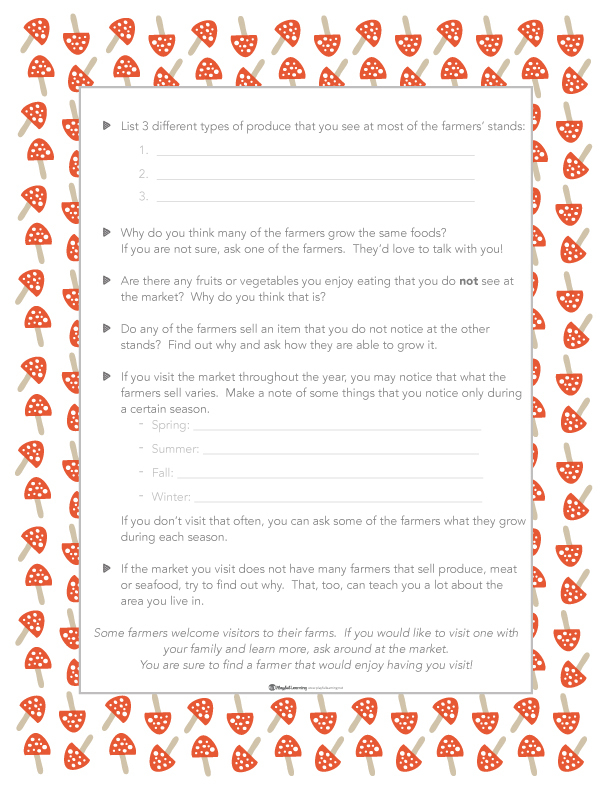 To help your child grow his or her sense of place at a local farmers’ market, bring the printable below and have fun exploring!